The holiday season is magical, isn’t it? The smell of fresh pine, the crisp air, and the anticipation of Christmas morning; the mere thought of it is enough to make us want to crank holiday music in August. Which, we admit, we occasionally do while designing new photo holiday cards. Yup, even in July. 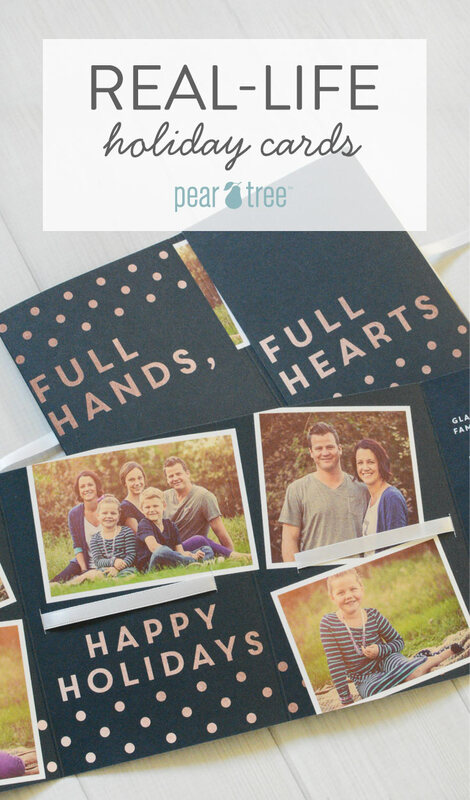 While dreaming up ideas for new Christmas cards, we realized the irony in creating picture-perfect family holiday cards while we are all juggling the stress of family life. Last minute babysitter cancellations, camp drop-off, camp pick-ups, bee stings, teenage drama (oye), broken limbs, drivers ed (whoa)…the list goes on. Family life isn’t perfect. It’s chaotic. It’s stressful. And, it’s full of love. Hence, our newest collection of real-life holiday cards. 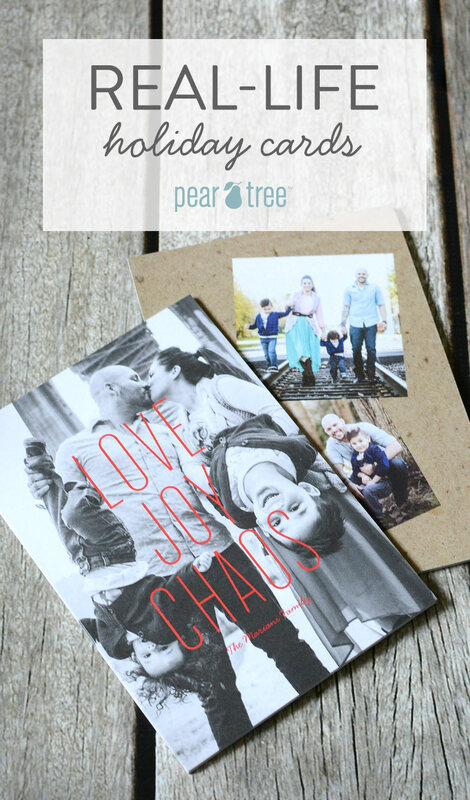 These holiday cards tell it how it is: crazy, happy, chaotic, LIFE. Your hands are full and so are your hearts. That notion inspired one of our favorite new cards, Full Hearts Ribbon Booklet. The clever ribbon booklet format let’s you cram in a million photos and that faux rose-gold foil has a festive holiday vibe. Add your personal message on the inside and you have one sweet family holiday card. Our other favorite is the Christmas Chaos Holiday Card. This card tells it how it is: Love, Joy, Chaos. Grab that selfie stick, gather the fam, snap a quick pic and your card is DONE. Closed eyes and even rolling eyes will only add to the charm of this perfectly imperfect holiday card. Happy holidays, all. Cheers to a stress-free season!